As noted elsewhere on this site, the private elites–Harvard, Yale, Princeton, Stanford, etc.–typically dominate the best-known prestigious postgraduate scholarships and fellowships, such as the Rhodes and Marshall awards. But when it comes to earning research fellowships from the National Science Foundation (NSF), students at major public research universities hold their own against the private elites. The NSF Graduate Research Fellowship Program awarded almost 2,100 grants in 2011, each with a value of more than $40,000. The grants are good for up to three years of graduate research at an accredited university of the student’s choice. Indeed, the University of California, Berkeley, led all schools in winning NSF grants in 2011, and by a wide margin. In fact, the entire UC System has a much better track record with NSF grants than with other prestigious awards. “The program recognizes and supports outstanding graduate students in NSF-supported science, technology, engineering, and mathematics disciplines who are pursuing research-based master’s and doctoral degrees at accredited US institutions,” according to the NSF site. In 2011, almost 40 percent of the NSF grants went to students from only 26 universities. Students from the eight Ivy League schools plus Stanford, MIT, Caltech, Duke, and Chicago earned 361 NSF grants in 2011, and students from the 13 public universities with the most awards won 410 grants. Granted, the private elites have much smaller undergraduate enrollments than the public universities, but they are also much more selective overall. Even if UC Berkeley totals are not included, the leading universities of the 50 we follow on this site compete almost evenly with the private elites for NSF grants. Although we did not include NSF grants in our recent book, A Review of Fifty Public University Honors Programs, we will probably do so in the next edition. This could result in some significant changes in rankings. 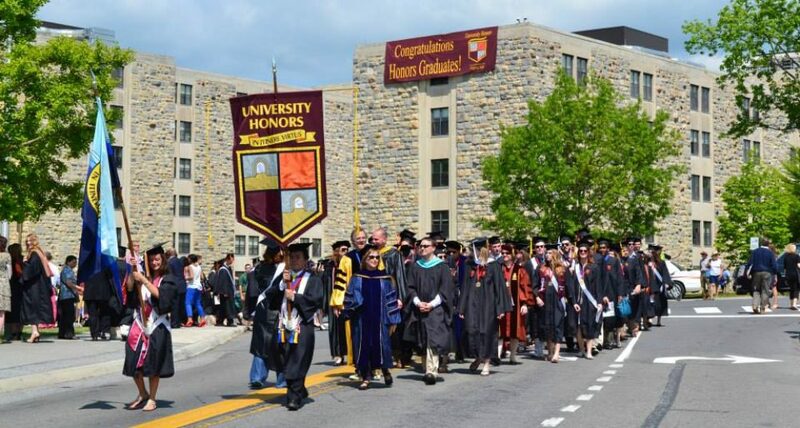 The good news for public higher education is that the best public research universities are delivering on the promise of excellence to their brightest students, many of whom are drawn to the universities because honors programs give them special opportunities to thrive. While it costs a great deal to educate science, technology, engineering, and math students, and to provide smaller classes through honors programs, the contributions the students make to their states and to the entire nation are essential to public health, the national economy, and even to national security.